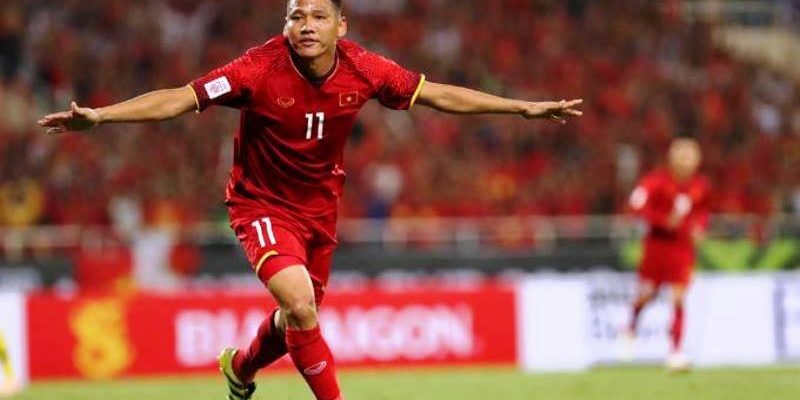 HANOI (13 Dec 2018) – Veteran striker Nguyen Anh Duc is set to play against Malaysia this Saturday night as Vietnam look to finish the job and lift only their second title of the AFF Suzuki Cup. The 33-year-old, who was left out in the first leg finals in Kuala Lumpur, has been a consistent performer for Vietnam where he also scored in the 2-0 win over Malaysia in the group stage. He scored Vietnam’s second goal after Nguyen Cong Phuong had given the home team the lead. “Most probably, Anh Duc will start against Malaysia,” said Vietnam head coach Park Hang-seo. The return of Anh Duc will give the Malaysian backline something to think about as his physical strength made all the difference especially when he played against the Philippines in the two-legged semifinals. Anh Duc has been playing for Becamex Binh Duong FC in the V-League One since 2006 and where he has made more than 330 appearances – scoring 145 goals in the process. He also won the Vietnam Golden Ball (for the Top Striker) in 2015. In the meantime, Hang-seo said that midfielder Ha Duc Chinh will once again be given the faith to play against the Malaysians. Despite missing several clear chances, it was obvious that Duc Chingh’s high work rate had impressed the Vietnam boss. “I thought that he played well even though he missed several good chances,” added Hang-seo.